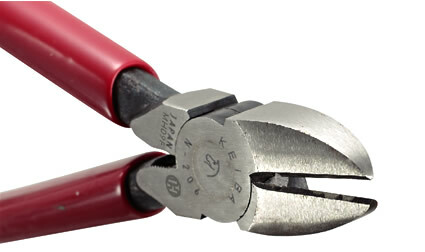 A heavy-duty pliers ideally suited for cutting various kinds of heavy metal wires The cutting edges are precision-finished specifically for cutting soft and hard wires, including piano wire. Our extensive experience in pliers manufacturing and high levels of technology ensure the perfect blade angle and sharp cutting edge. Our forging technology and advanced machining process put Keiba at the highest levels in the Japanese hand tool industry.